This really is the easiest bracelet you could ever make. 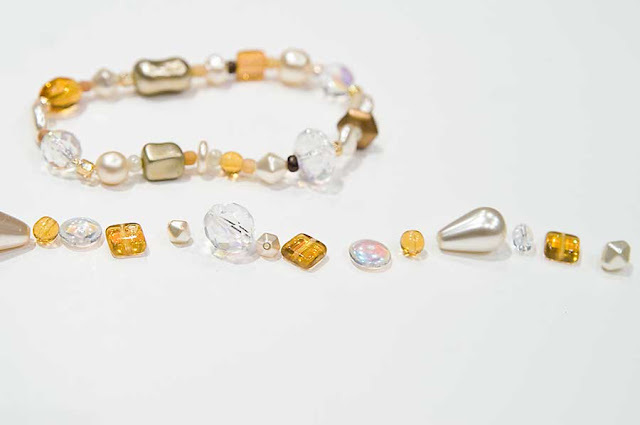 If you've never made jewelry before, or if you just want an instant-gratification kind of project, this is the one for you. With elastic thread and no clasp, this bracelet is the easiest to wear, too. I have lots of pictures, but don't worry that that means this is complicated (Easiest Bracelet Ever, remember?). I just like having pictures for every step; really, you could just look at the pictures and understand the project without even reading my instructions. 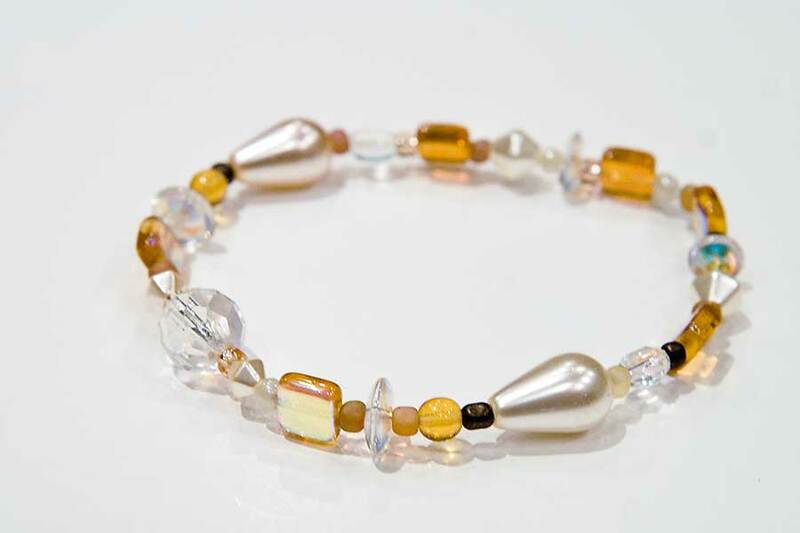 Beads (not pictured, but I bet you figured that out already)--Larger beads work best for this bracelet. 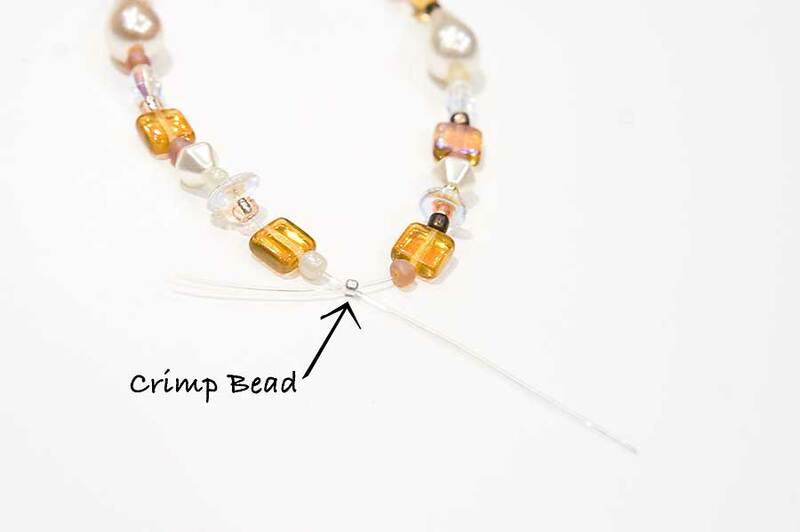 Crimp beads--They come in different finishes (I have silver and gold), so pick what will match your beads best. Stretchy beading thread--I used .7mm diameter thread, but this depends on how big the holes in your beads are. 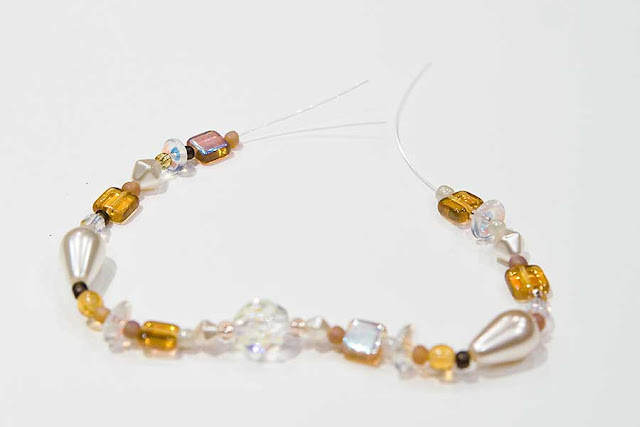 I figure thicker thread = stronger bracelet, so I use the thickest I can for my beads. Crimping tool--You probably could use regular pliers if you need to, but crimpers are a better choice. 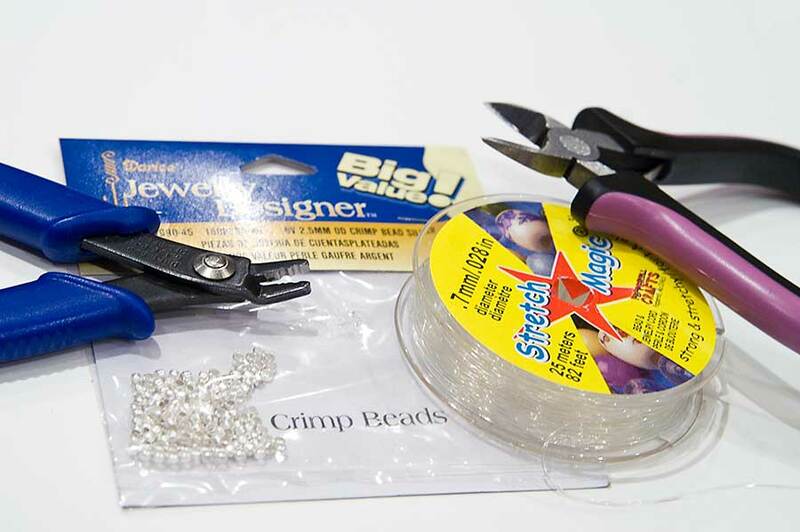 Something to cut beading thread--I used wire cutters since I keep those with my jewelry making supplies, but scissors would work better. 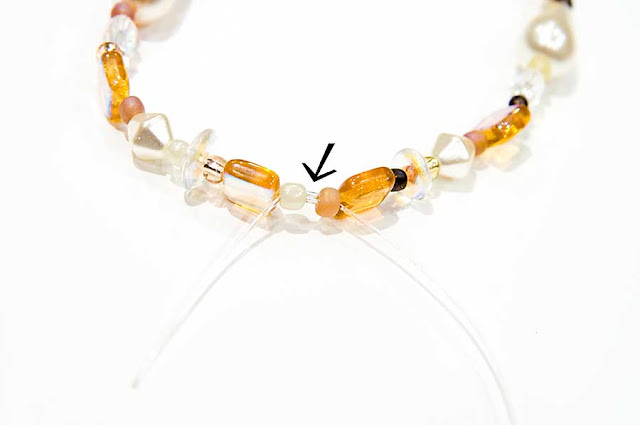 Then string your beads on the elastic thread. Don't cut your thread until you have all your beads strung on, and you're sure the bracelet is the right size. Trust me, it's a royal pain to keep having your beads falling off the opposite end of the thread. Yep, I have experience with that one. 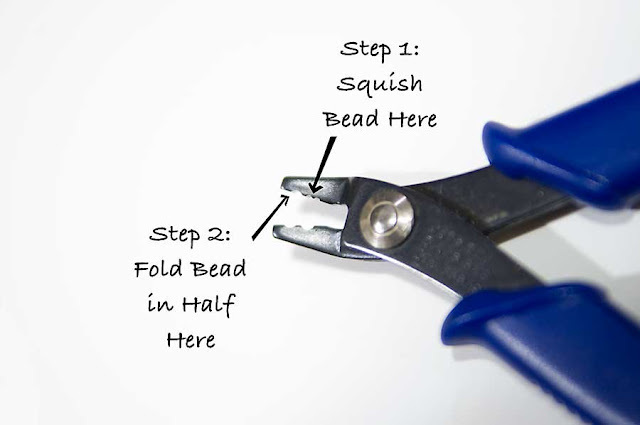 After you cut the thread, you'll string both ends of the thread through a crimp bead in opposite directions. Next, you will crush the crimp bead with the crimpers, then fold it in half over itself. The crimp bead gives a nice, barely noticeable, and professional finish to the bracelet. Thread the elastic thread through the neighboring beads, if the holes are big enough. Trim the thread. And the bracelet is done! 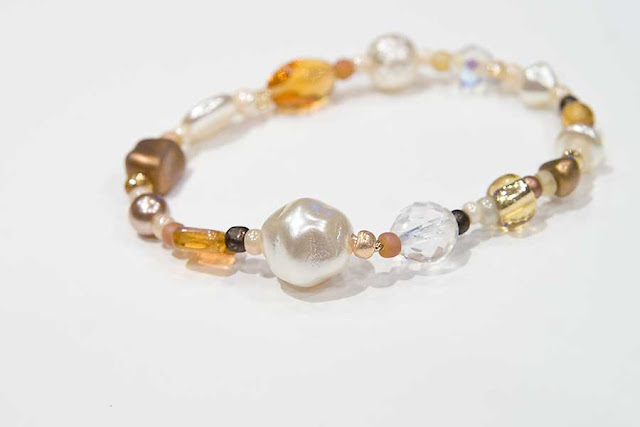 Depending on the beads you use, this bracelet would work for any occasion, and for any age group. Pink plastic beads for a little girl for Valentine's Day, silver and gold glass beads for your sister for Christmas--this makes a really versatile, and super simple gift.